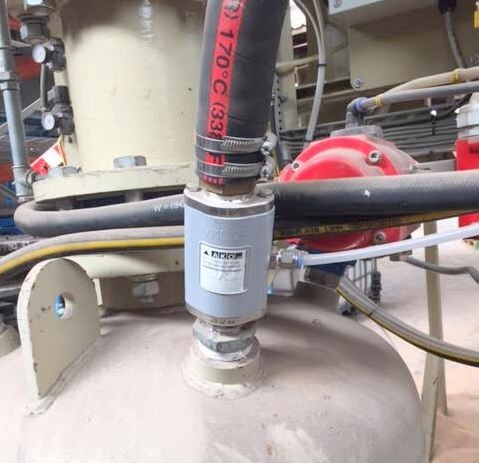 Description: AKO valves used to direct sand to multiple destinations and to exhaust pressure pods. Valves Used: Type VMC [1”] for exhaust and Type VF [3” & 4”] for convey line destination selection. Everyone knows, “Sand is Abrasive!” But sand is also necessary to create the cast molds in some of the largest foundries in the world, including General Motors engine foundry plants. AKO Pinch Valves are commonly used in these sand transport applications due to their resistance to sand abrasion. For this abrasive application, AKO pinch valves are fit with hardened steel flange inserts and abrasive resistant rubber sleeves, making them reliable and low-maintenance. For the conveying of sand, the 1” [part number VMC25.03XK.50N.30LX] pinch valve is utilized as a quick exhaust valve. For direction control, the 3” [part number VMC80.03X.31FA.30LX-ANSI] and 4”[VF100.03X.31.30LA-DIN] pinch valves are used to select various destinations for the sand. 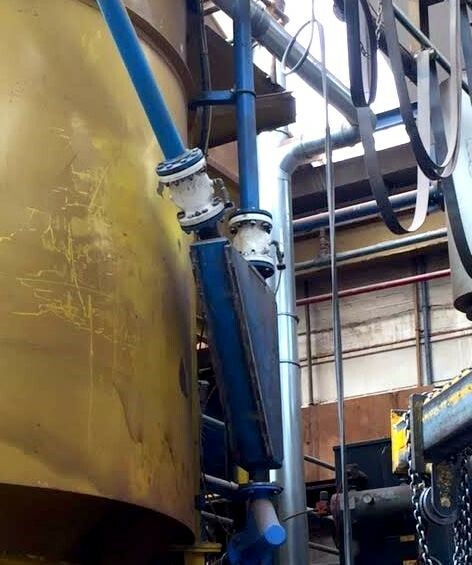 The pinch valves are opened/closed to select destinations for the sand, usually core machines, mixers or sand storage silos, and these AKO valves can support many cycles per day. The VMC and VF Series Pinch Valves are abrasive resistant to the sand applications. The VMC and VF Series valves have a sleeve that is replaceable, when it wears out. The sleeve’s life is 6 months to 5 years. The life of the sleeve is based on the number of cycles and placement in the foundry. By sleeve replacement, this reduces the expense of replacing the entire valve, such as a ball valve or butterfly valve.